Ink isn’t cheap! If you’re someone who prints with any regularity, the amount you spend on ink can quickly overtake the original cost of your printer. 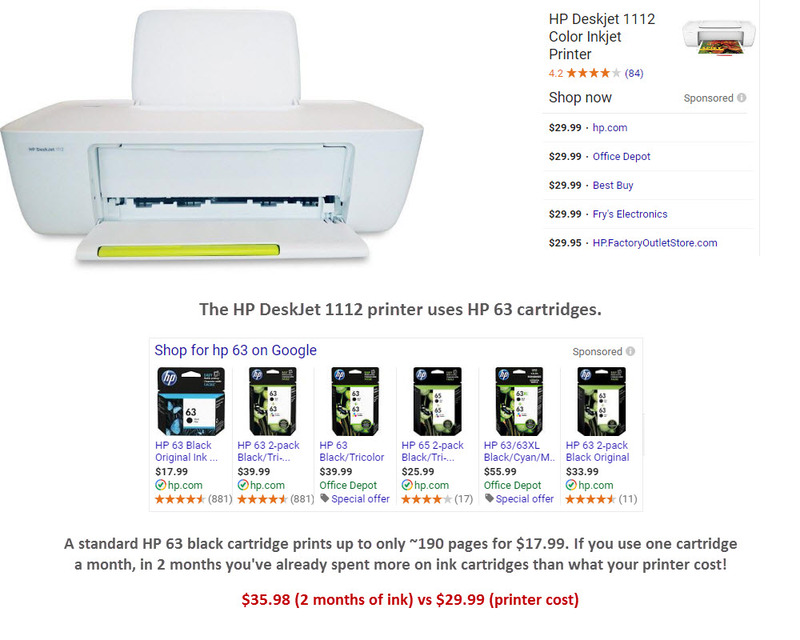 This point is especially valid if you use one of the budget-friendly home printers that often go on sale–like the HP DeskJet 1112 printer–that also coincidentally devour expensive cartridges. Coincidentally. Reputable aftermarket manufacturers do exist, you just need to know how to look for them. 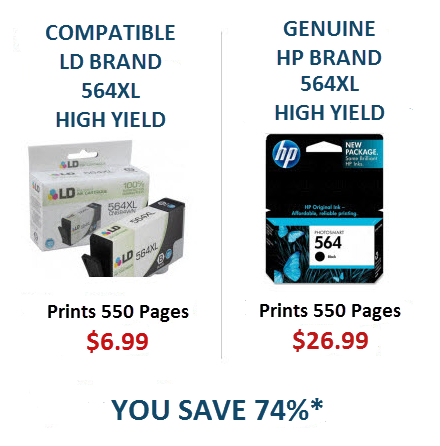 Compatible and remanufactured ink cartridges are — on average — 50-percent cheaper than brand name cartridges. That’s a big difference over time! How do you know which aftermarket cartridges are reputable? Only a few name-brand brick and mortar companies, such as Staples, offer generic-equivalent inks in their name. None of the compatible brands sold by popular digital retailers like Amazon are directly tied to the Amazon brand, and therefore may fluctuate in quality. Knowing which brands are reliable and still affordable, as well as what your options are for third-party products, is key to getting the most out of your printer. Not all generic ink is equal, and some brands are admittedly downright awful. However, good brands that take pride in their product offer an incredible deal to customers looking to save precious dollars and cents. First, an important question: if generic ink cartridges are so much more affordable, why doesn’t everyone buy them? So how do you know which brands to look for? Choose an established name. The first way to ensure you’re getting a good deal on your cartridges is to choose an established company. That company doesn’t need to be a brand name, however. Several generic printer cartridge companies have made a name in the industry for selling top quality products for less. From search page position to the number and age of their reviews, you can establish fairly quickly who has been around the block.. Go with an established company who’s been around long enough to have tested plenty of ink suppliers and knows which ones are worth it. Vendors that have been in business for over 10 or 15 years will most probably have better product quality standards compared to a supplier that has been around for only 5 years. Easy returns and customer service. Brand new, name brand ink cartridges (like Epson and HP) malfunction occasionally and the same applies to compatible and remanufactured cartridges. Your retailer should understand this principle and make strides toward getting their customers functional replacement cartridges ASAP. Assessing how good a company’s customer service record is before you need to use it can be tough, though. One way to get the idea is to see if they have won prestigious awards for their customer service from reputable sources like the Better Business Bureau or Bizrate. 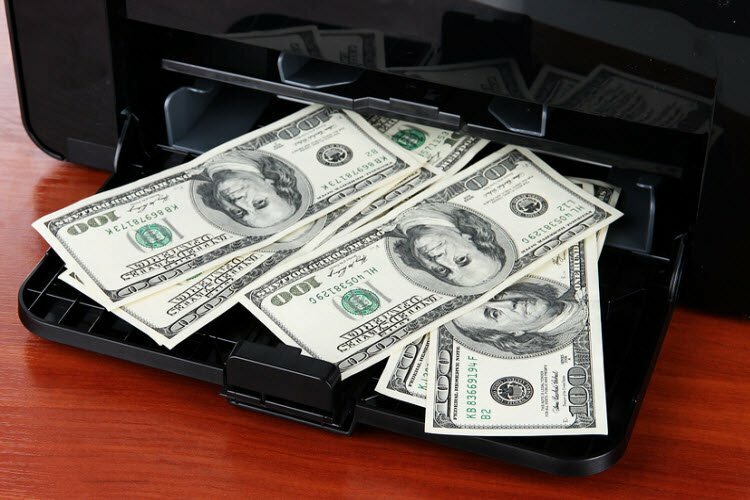 Saving money on consumables is one way to shrink your bottom line, no matter whether you’re a student printing out a couple of pages per week or a small business trying to cut down on your overhead. Compatible third-party and remanufactured cartridges from LD Products are an excellent way to knock down costs, all without sacrificing the quality printing you’ve come to expect.